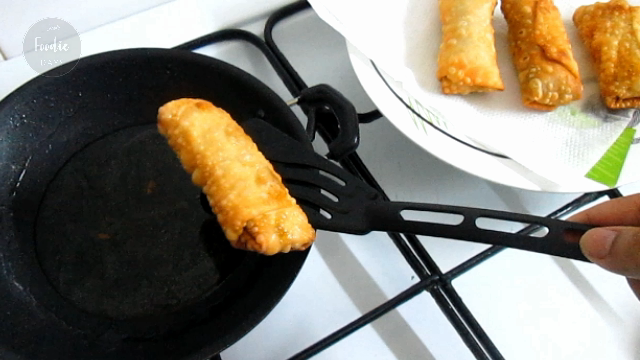 Hi all ... Today I am gonna share an easy iftar snack recipe. 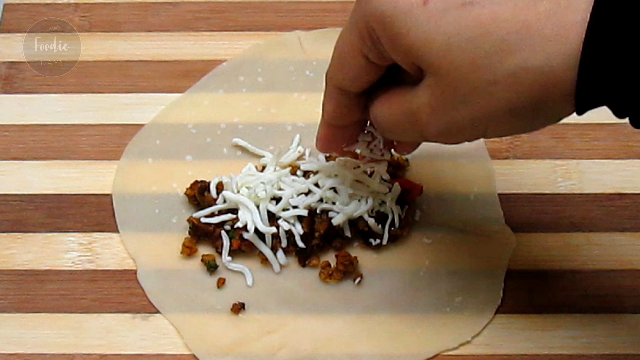 Kheema masala and mozzarella cheese make this rolls really yummy.. cheesy. These rolls are made with homemade roll patties. Ginger & Garlic - 1 Tablespoon, Crushed. Green chillies- 2 numbers, finely chopped. Garam masala powder- 1/2 teaspoon. Red chilli flakes- 1 Teaspoon. Heat oil in a pan. Add ginger and garlic, green chillies. Saute for few seconds. Add turmeric powder, red chilli powder and garam masala powder to it. Mix it well on a medium flame. Add keema or minced meat to this. Mix this really well. 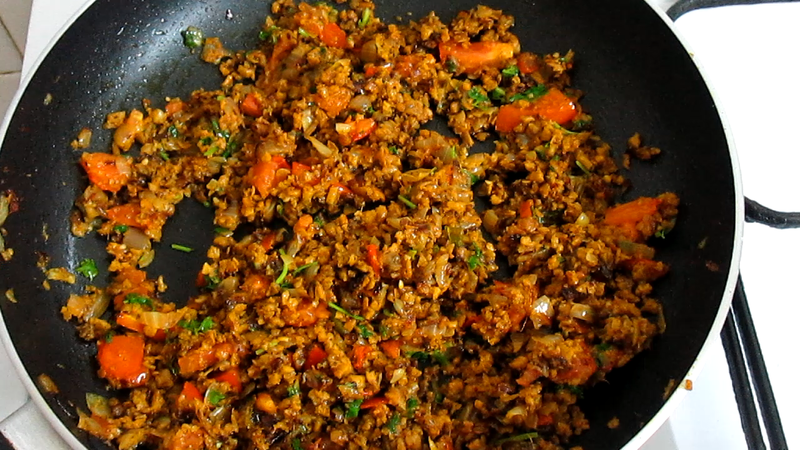 Cover it and cook for few minutes or until the kheema is nicely cooked. To this add red chilli flakes and chopped tomato. Saute for 1 minute or until the tomato gets cooked. Do not allow the tomato to turn mushy. Add few coriander leaves. Mix it very well. Our filling is now ready. Keep it aside for cooling. Let us prepare the dough for roll Patti. Take a large bowl and add maida to it. Add salt to taste and oil. Mix it very well with your hand. 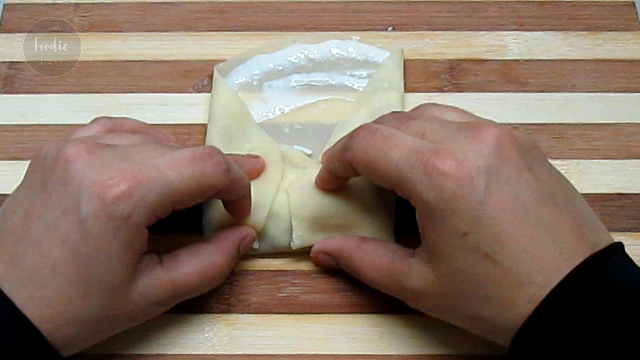 Now add water little by little and make a smooth and stiff dough. Now divide this dough into small equal portions. Make balls out of this dough. Take a ball and dust some flour on it. 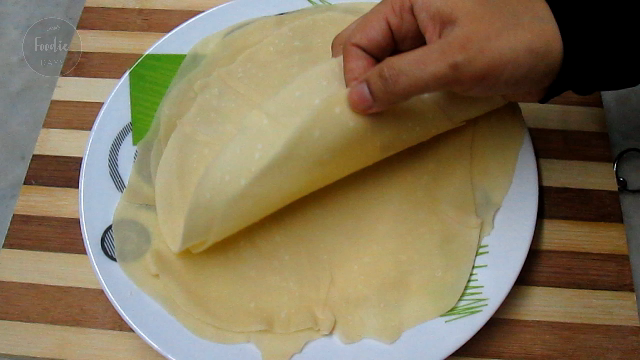 Roll it thinly and make a large roti. Heat this roti in a hot tawa for 10 seconds for both sides. 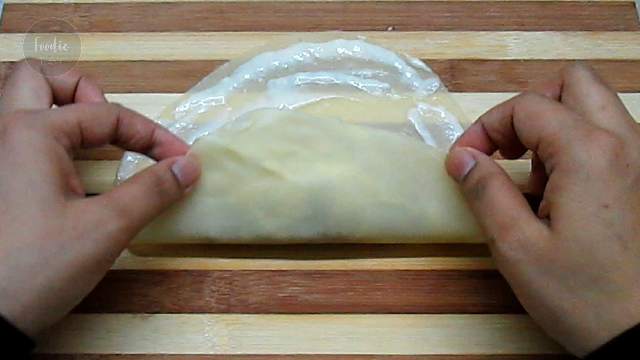 No need to cook the roti just want to dry the roti. Do this for all the balls made with the maida dough. Roll patti is ready. Make a smooth paste of maida by mixing 2 tablespoons of maida and little water. Keep this aside. 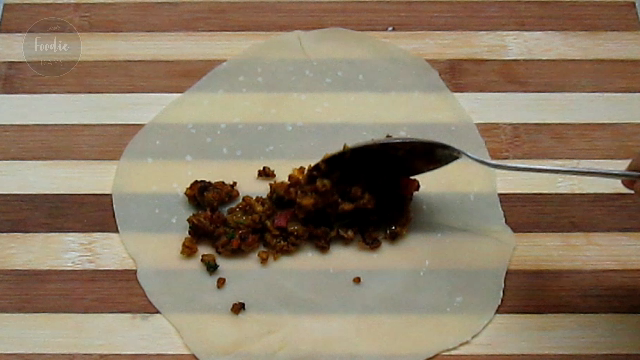 Now take a roti and place 2 tablespoons of filling spread it lengthwise. Spread some grated mozzarella cheese. 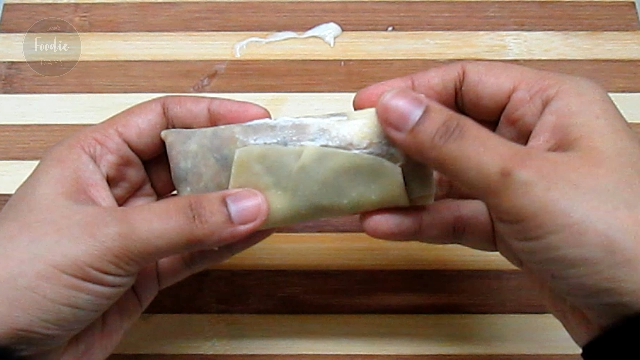 Apply maida paste at the sides of the patti. Now start rolling from the bottom corner. Fold both left and right sides as shown in the picture. 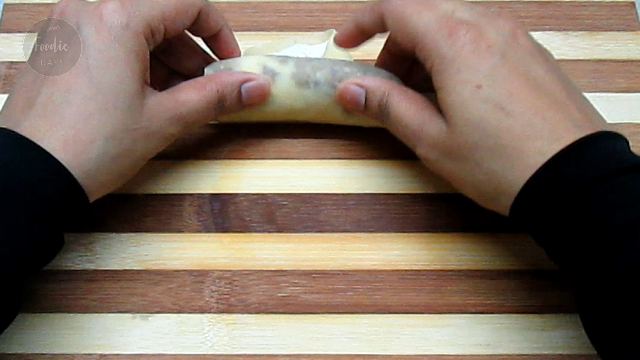 Continue to roll and seal the edge with maida paste. Fry these prepared rolls in hot oil till golden brown. When it is ready, remove from oil and drain on to a kitchen towel. Serve as hot with tea. I hope you will like my recipe.. Don't forget to subscribe my youtube channel..